Who was the true hero in Pride and Prejudice? Fitzwilliam Darcy… or was it Elizabeth Bennet? As I plotted my first Regency era tale—The Gallant Vicar— I briefly referred to Joseph Campbell’s brilliant treatise on the structure of a novel…just for fun. Campbell was a scholar, a professor of mythology, a writer and a lecturer. His book, The Hero with a Thousand Faces, is a work of comparative mythology in which Campbell discusses his theory of the journey of the archetypal hero to be found in almost all stories ever told. His book makes a very clear statement on the most consistent theme in all literature —the myth of the hero’s journey. In his study of world myths he discovered these tales were all basically the same story but retold in endless variations. Ask women to name a mythological hero, one who has enchanted them since he first appeared on the written page and you will find copious votes for Rhett Butler or Ross Poldark; but by far the hero most women carry in their hearts is Fitzwilliam Darcy. I made a little game out of applying Campbell’s twelve-step formula for writing the hero’s journey. Join me as I use his formula to find the real hero in Pride and Prejudice—was it Darcy, or was it Lizzy? The hero, uneasy or uncomfortable is introduced sympathetically so the audience can identify with his setting or problem. The reader is shown the hero’s environment, heredity, and personal history, but there is something pulling the hero in a different direction and causing distress. Sounds more like Elizabeth Bennet in her la-dee-dah boring life at Longbourn. Something changes for the hero, either from outside pressures or some feeling deep within, so the hero must face the beginnings of change. This could be Lizzy’s fine eyes luring Darcy closer to the flame; but it just might be Jane and Bingley’s love affair drawing Lizzy into Darcy’s world. Score ~ Tie ~ Lizzy one / Darcy one/ as they both begin to feel the change after they meet. Something is in the wind. The hero is called upon but fearing the outcome, tries to turn away from the adventure. At Netherfield Lizzie reluctantly dances with Darcy, delivering an assortment of sarcastic remarks and thereby refusing the call to romance. The hero meets a mentor who gives him or her training, equipment, or advice that will help on the journey. Or the hero reaches within himself to a source of courage and wisdom. Our beloved couple had no mentor, but I call this round for Lizzy as she digs deep and discovers the truth within herself after reading Darcy’s letter. She reaches a better understanding of herself. The hero commits to leaving his world and entering a Special World or condition with unfamiliar rules and values. This is the rare exception in Campbell’s The Hero’s Journey that does not apply to Pride and Prejudice. The rules and values during the Regency era were quite clear, and so stringent that they were never unfamiliar. Lizzy and Darcy’s world took place in a cocoon isolated by its rules and values. The hero is tested and sorts out allegiances in the Special World. Lizzy was sorely tested by Mrs. Bennet, Caroline Bingley, Mr. Collins, Lydia, and Lady Catherine. Darcy gets a tip of the hat for his history with Wickham. The hero and newfound allies prepare for the major challenge in the Special World. Darcy had no allies, no encouragement, but he still attempted to win over Lizzy. The hero enters a central space in the Special World and confronts death or faces his or her greatest fear. Out of the moment of death comes a new life. Lizzy comes to understand herself and her prejudices. Out of her self-reflection is born a new Elizabeth Bennet. Darcy applies the humanity he has kept hidden from Lizzy. The hero takes possession of the treasure won by facing death. There may be celebration, but there is also danger of losing the treasure again. The hero is driven to complete the adventure, leaving the Special World to be sure the treasure is brought home. Often a chase scene signals the urgency and danger of the mission. Darcy rescues Lydia, and the Bennet family’s reputation remains untainted. At the climax, the hero is severely tested once more on the threshold of home. He is purified by a last sacrifice, another moment of death and rebirth, but on a higher and more complete level. By the hero’s action, the polarities that were in conflict at the beginning are finally resolved. Darcy’s heart and thinking have changed and he is purified by the last sacrifice—his ego. Love triumphs over class and status. The hero returns home or continues the journey, bearing some element of the treasure that has the power to transform the world as the hero has been transformed. Score ~ Tied ~ Darcy and Lizzy settle into Pemberley as man and wife. What do you think? Who was the true hero during the journey of Pride and Prejudice? I have often thought that both Lizzie and D’Arcy are the heroes in P&P, because the both change somewhat to fit in each other’s world. They both grow so much. Loved this post. Whoops! I meant to say “Hero’s Journey”! Interesting. I can only say I read for pleasure and escapism. I have never had to sort out each one’s role as you have done. I was not a literature nor an English major in college so that approach is new and educational for me. You had good points, well spoken and some comments cleared up and/or added to those. Thanks. Interesting insights! I really had to chuckle at the comment about women being too busy to come up with innate myths. I’ve always thought of P&P (and most of Austen’s other works) as sort of a drawing room odyssey. Women could make discoveries about their world and go on a hero’s journey too, even if they never leave their tiny community such as Emma. And yet, I’ve always thought the author could cut to the chase with The Odyssey. I mean, really, the men get lost a bunch of times (a woman could have told them where to go) and lose track of all time because they thought they could spare a 5 minute distraction. Women mean business. is my new graduate thesis title. you know,if i was in graduate school. thank you so much for this thought provoking post. I think that both are heroes because both change for the better in Pride and Prejudice. Both are forced to look at themselves differently. In point 4 I think Darcy does hve a mentor…in Elizabeth when she gives her reasons (advice) for refusing him during the marriage proposal at the parsonage. I was fascinated to read this post and your analysis. I, too, think that Elizabeth had a mentor in Mrs. Gardner. I have read many of Campbell’s works and have found them applicable to various stories. There is also in the time that Elizabeth goes hesitantly to Pemberley a moment of transcendence, a crossing of a threshold into a new world for her. There’s a technical term for this, but I’m ashamed I can’t remember exactly what it is now. Thanks again for this post. Mary, Thank you for your comments. Yes, Mrs. Gardiner was a lovely, reliable mentor, and also a substitute mother. I believe we all have the one really big moment of transcendence in our own lives, and that is why we treasure Pride and Prejudice—it keeps that moment fresh in our memories. Brenda, Thank you for commenting. I am so glad you found my post interesting. 🙂 Jane Austen was an expert at highlighting human nature. I have always loved P&P for precisely this reason: you get two heroes. JA was fantastic at showing how a flawed human being could truly rise above themselves and their circumstances and change for the better. 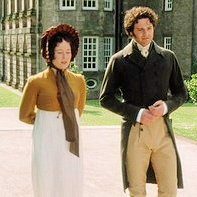 In P&P, both Lizzy and Darcy have to take that journey in a parallel fashion and both show the genuine quality of their characters by actually changing. After all, none of the other characters actually change. They are what the are and what they are is what they remain. Love the hero archetype, and thanks for the post. Thank you for a perfect explanation. Both Lizzy and Darcy grow and complete their journey once they accept that they are actually in love. Often it is very difficult to accept unconditional love without questioning whether it is for real. Perhaps that is one of the reasons we all identify with Lizzy. I believe that was a part of Jane Austen’s brilliance—being able to hold a mirror up for her readers. I wanted to give Darcy an extra point on #4 with the mentor, because Lizzy was his mentor with her words. Because of her he had to humble himself. Interesting take on the hero. And say … kudos to you for delving into Regency. I can hardly wait! Jenn, Thank you for the kudos….gulp! It has been a challenge for me to write Regency, as it spins my writing style on its ear. I still can’t resist adding some humor, but happily Jane Austen had a lovely subversive sense of humor. You have added an interesting layer to this hero’s onion… Lizzy did act as Darcy’s mentor in letting him see how others saw him. Hmm. I have pondered this same topic a bit myself, Barbara. I had concluded that Mrs. Gardiner was Lizzy’s mentor, but I like your idea of it being the letter that taught her. I have also long thought that Lizzy going to visit Pemberley was crossing the threshold from her world, into Darcy’s. She is on his home turf, meets his sister, and the rules HAVE changed – she is away from her family and Darcy is actively and openly (although gently) pursuing her. Her greatest test (and Darcy’s for that matter) is when she was open with Darcy about Lydia’s elopement. It’s a great topic, and I loved your breakdown of the movement through the journey. Diana, You are so spot-on. Bravo! I do have to agree with you. Lizzy’s world changed when she visited Pemberley for the first time. That is the hero’s journey! Lizzy herself notes this moment when she tells Jane that she fell in love with Darcy upon seeing Penberly. What an intriguing case you make, Barbara, and in such an original way! Thanks for this, I thoroughly enjoyed this post and the scoring. Joana, Thank you. I wasn’t sure about the scoring. Lizzy and Darcy both earned points to their credit.